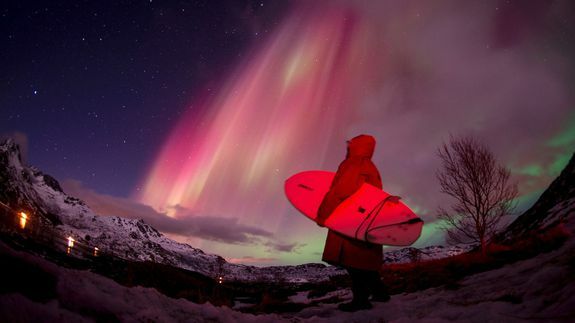 Adventurous surfers take on Arctic waves under Northern Lights - trendistic.com: ever tried. ever failed. no matter. try again. fail again. fail better. In Norway, surfers from around the world head to Unstad beach on Lofoten to catch the big waves. The surfers usually get to the beach midday and continue surfing until the sun sets.